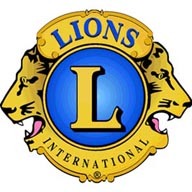 Please join Angelini Wine and Cask’ N Keg at the Mystic Lions Club 9th annual Wine, Beer & Spirits Tasting and Fundraiser. The evening includes casual bidding on silent auction items donated by local merchants and Lion Club members. There will also be a live auction of high end items including a Newport get-away weekend, tickets to local theaters, special Mystic happenings, Lantern Light Tour tickets, and several surprises. All proceeds support Mystic Lions charities to help the blind, visually impaired, and local needs. Tickets are $30 each or $50 per couple and are available at the door or at Cask’ N Keg, 14 Clara Drive in Mystic or from any Mystic lion.